All meals are free for students. While others (non-students and community members) are welcome to attend, we ask that you make a donation to help offset our costs. The Brody Jewish Center hosts a large communal seder and festive meal for the community to attend together. Students are also welcome to host a seder in their home. 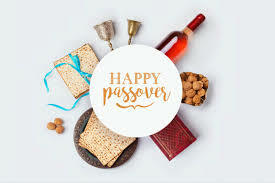 We will provide a seder plate and kosher chicken. The Brody Jewish Center provides FREE lunch and dinner throughout the holiday. Please check our website for details about times and locations.